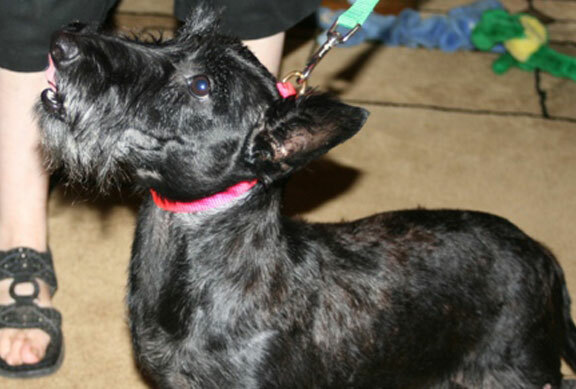 Molly is a very sweet Scottie, a little shy but fine after she gets to know you. She is calm and seems to get along with most other dogs, and even tolerates cats. She needs a home with out very small children and with a traditionally fenced yard. If you can give Molly this type home, please fill out the online application and remember to mention that you are interested in Molly.